I’ve started to write a document for OWASP about ColdFusion security which I hope will be included on the site when I finish it. Any feedback is more than welcome, if you’d like to see anything included about ColdFusion Security, let me know and I’ll do my best to include it. The document about ColdFusion security can be downloaded here. Please note that the document is still a work in progress. 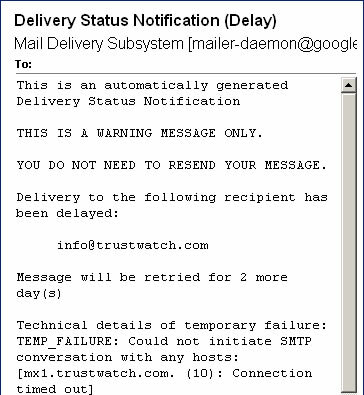 TrustWatch – doesn’t look so trustworthy! 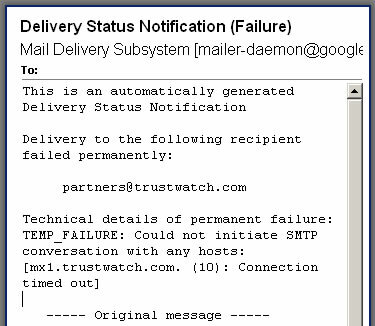 I have to write about our experience with trustwatch.com, I just have to! We felt there might be some synergy between www.clickfind.com.au and www.trustwatch.com as we only list real Australian businesses, and verify the ABN details with the government registry. Therefore we only have real businesses listed, which should instil some trust with the users of clickfind. Since all partners on http://www.trustwatch.com/get-verified.html are US based and mostly deal with US based companies only, we felt that it would be a good thing to approach them and see what partnership is possible. If no partnership was possible, we’d still be interested in their API, which they list somewhere on the site. Dear Sir/Madam, We like to enquire how we can become a partnerhttp://www.trustwatch.com/partners.html Our company lists Australian businesses only, and requires each one to provide ABN details, we then retrieve their business details from the government registry. Only registered businesses have an ABN which gives people searching the site the confidence knowing they are dealing with a real Australian business. Please see an example on https://www.clickfind.com.au/business/listing.cfm?businessIdentity=45717 please scroll down till you see “Registered business” on the left hand side. Looking forward hearing from you. The email got returned because their mail server is either down or doesn’t exist anymore. Please see attachment for the Delivery Status Notification. So I figured provide some feedback, the feedback link went to a survey that was closed. OK, report an error then! The link went to a survey that was closed. Nothing but dead links. Hmm, certainly doesn’t instil a lot of trust so far. See attachments for a screen shot. Please see attachment for the Delivery Failure Notice. Yes, I could have contacted them by telephone (that’s if it wasn’t disconnected), but that’s not the point here. The emails we’re also days apart.